La Hacienda have been producing an incredible range of unique chimeneas, firepits and outdoor ovens or over 25 years and operate on a global scale across the UK, Europe, Australasia, North America, Asia, The Middle East and Africa. The La Hacienda brand remains family owned and run, plus all their clay chimeneas are painstakingly handmade in traditional molds then fired in brick kilns before being painted and finished by hand. Their firepit range includes the Moda, Napoli, Trieste, Globe, Portland, Albion, Boston, Stamford and Pittsburgh models. The Moda enamalled firepit is undeniably cool and comes in a choice of lime green, orange, blue or red. This firepit is the ideal way to add a burst of colour to your garden while effectively heating your outdoor space. Simply create a log fire in the for long-life and easy cleaning. 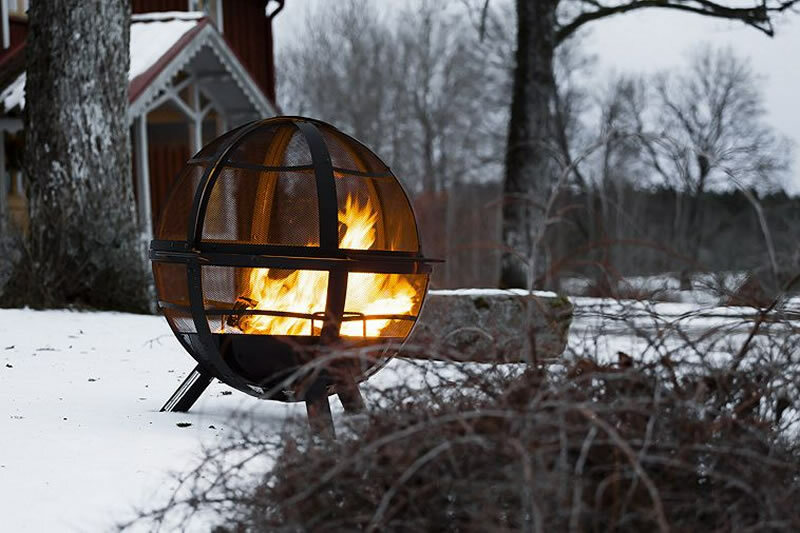 The Moda firepit measures 44cm by 61cm. The Napoli firepit is charcoal or wood burning and measures 76cm by 55cm and is a Barbecue firepit and table combined. The table features real ceramic tiles which is handy for a BBQ and also ideal for heating in the garden. 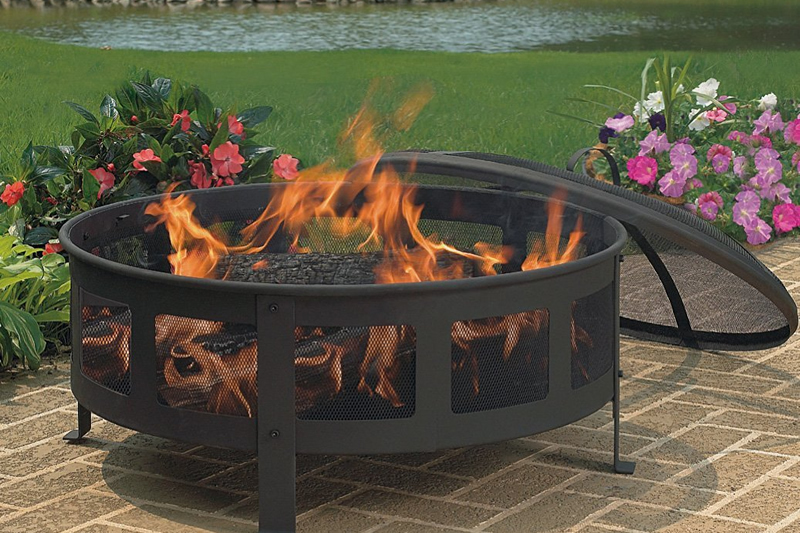 The Trieste fire pit and grill is a sturdy item with a tiled fire pit top supported by a sturdy steel frame with room uderneath for log storage. 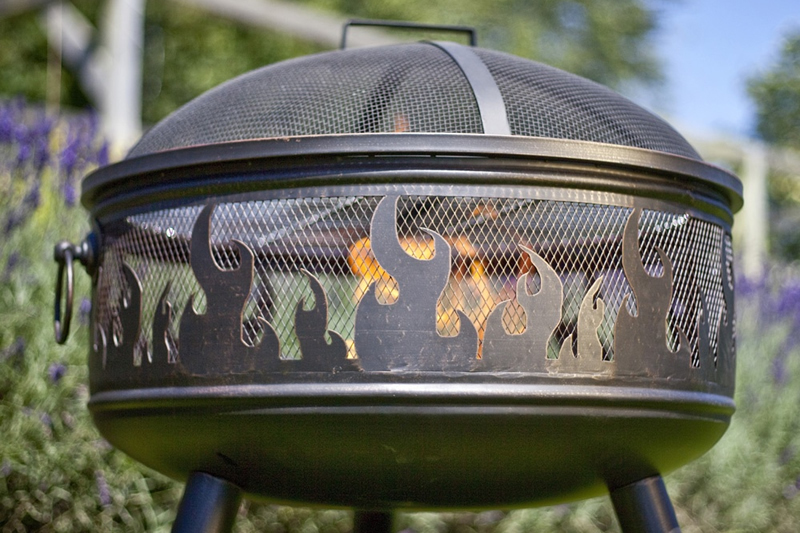 This firepit makes a great addition to any garden and can also be used for cooking on the included chrome-plated grill. 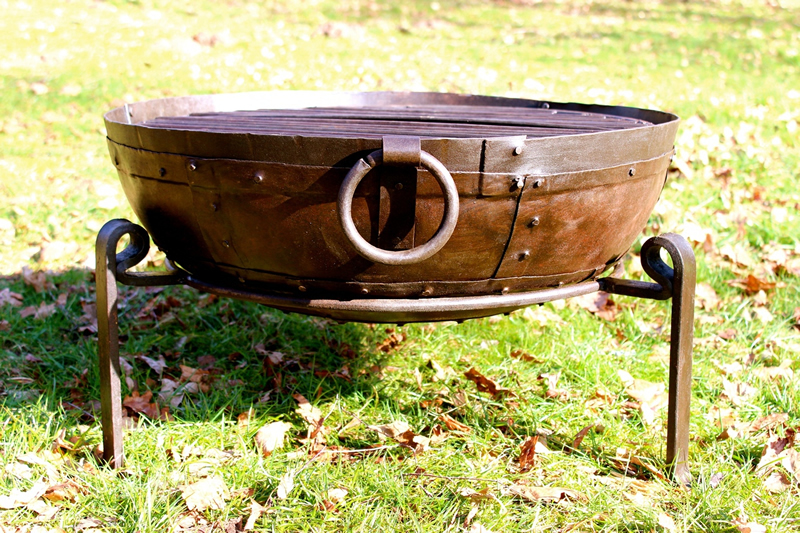 The firepit measures 57 x 76cm. The Globe firepit was launched in 2015 and is a solid fuel outdoor garden heater with a vibrant splash of colour. 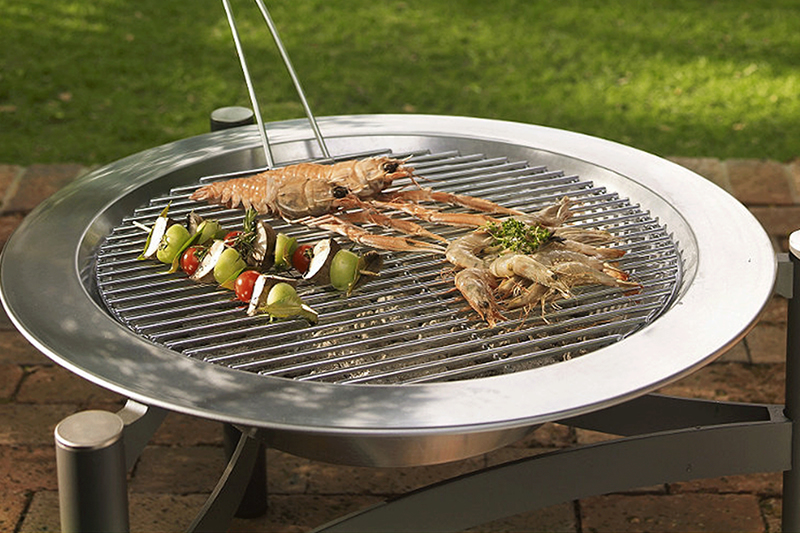 This bright and cheerful firepit can also be used for cooking and includes a chrome plated cooking grill which is placed on the steel globe which is coated in a choice of enamel colours including bright lime green, red, blue and orange. The enamelled bowl is easy to clean and measures 60cm by 56cm. The Portland Firepit is stylish and modern, measures 45cm by 61cm and is made from steel with a high temperature matt black finish. 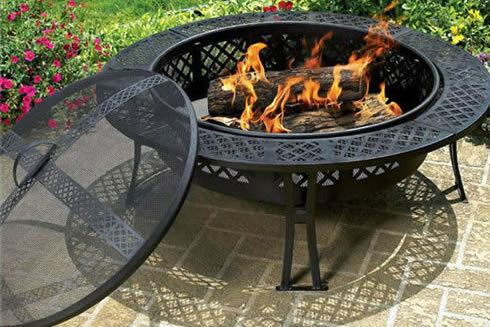 The foldable steel legs allow this firepit to be stored away when not in use and a protective mesh lid is included for safety. The Albion Firepit is a matt black steel item, a simple yet elegant way to add warmth and ambiance to your outdoor spaces which is quick and easy to use. Measuring 41cm by 51cm, the Albion is perfect for smaller patios. 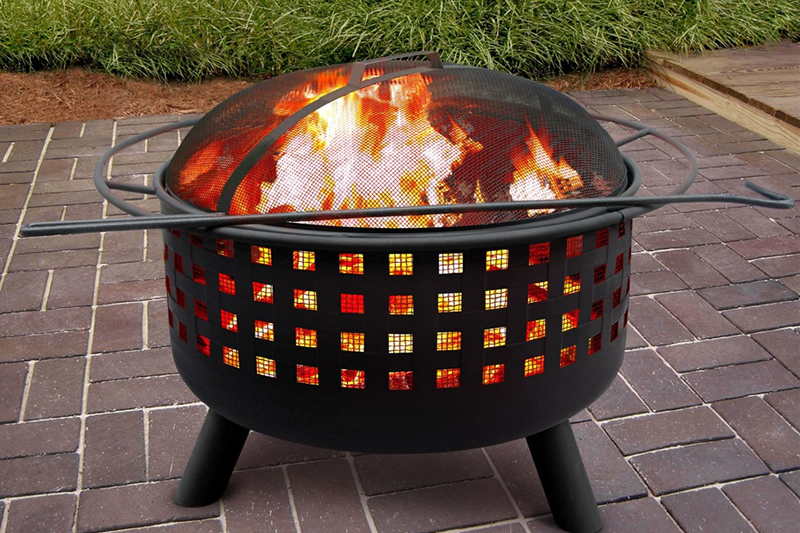 The Boston Firepit is an easy and efficient way to add warmth and ambiance to your garden or patio and features a large firebowl with smooth curves which is made from high temperature paint coated steel. 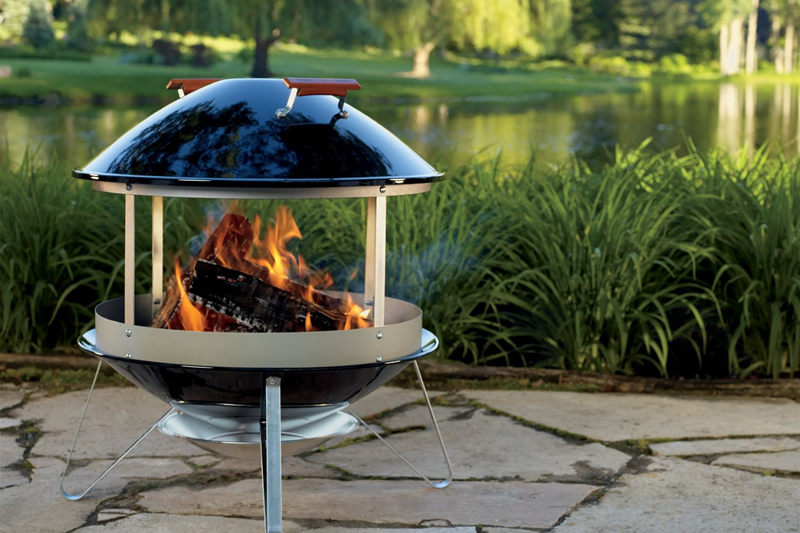 The Stamford Firepit sits off the ground on three stainless steel legs and also has a domed sparkguard on top which helps to prevent sparks from flying out. This fire bowls will compliment any patio or decking area and will provide useful heating for many people to gather around the flickering flames. 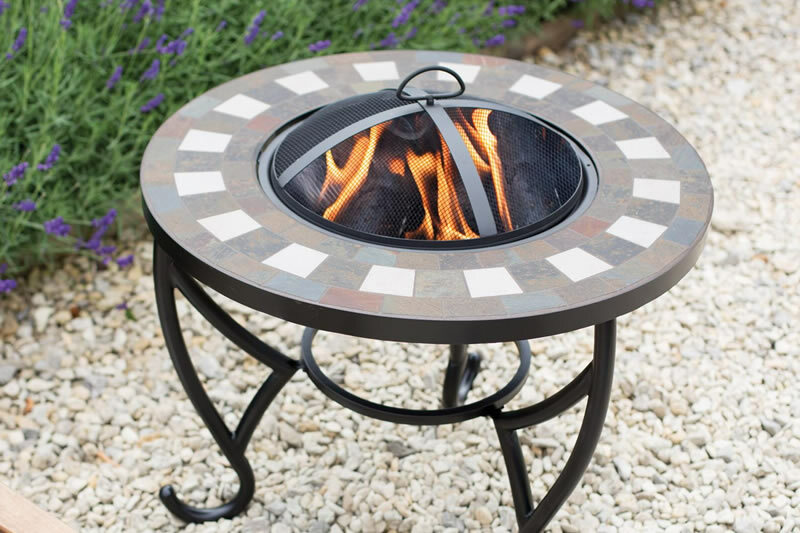 The Pittsburgh fire pit is made from heavy gauge steel with an extra wide mouth and substantial bowl which is suitable for larger gardens and measures 41cm by 1 metre round.